NOTE: This content is old - Published: Tuesday, Nov 10th, 2015. 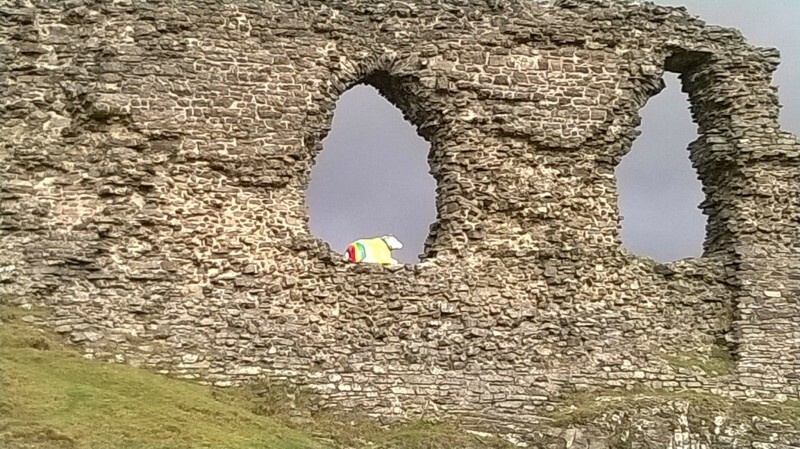 UPDATE 2pm Wednesday: Wrexham Council have confirmed the sheep is being brought down from Dinas Bran. 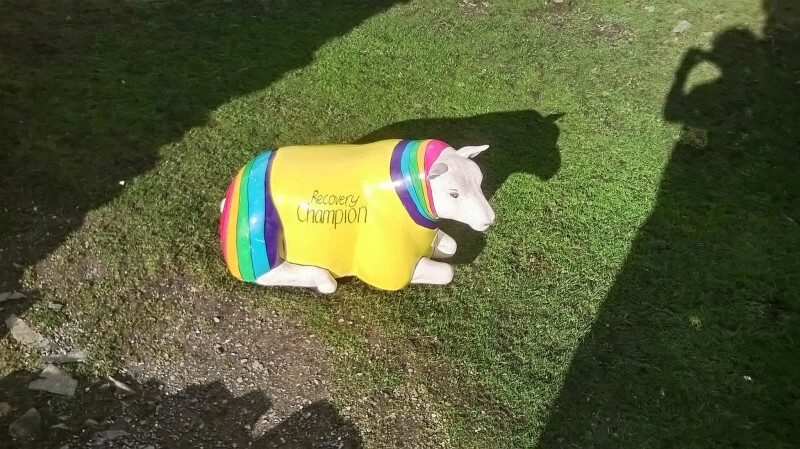 Cllr Neil Rogers, lead member for economic development at Wrexham Council, said: “Obviously, we’re very pleased that Champion has been found and is none the worse for his trip up Dinas Bran. 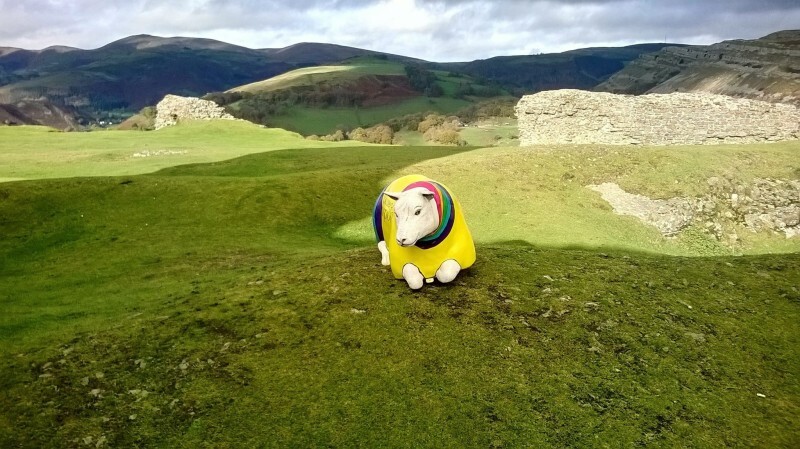 One of Wrexham’s missing sheep has been located today, at the top of Dinas Bran. The sheep was discovered by walkers today who trekked up the top of the hill to taken in the beautiful views and see the medieval castle. Doris, Blessing, and Wheely Good Sheep arrived in Wrexham in mid August and became firm favourites in town. Sadly a string of thefts, starting with Doris going missing but found soon after following a foot chase (that may or may not have involved the local MP!) , and then Champion then going missing. Another was then damaged and Doris was again stolen, with the sheep then removed for their own protection. 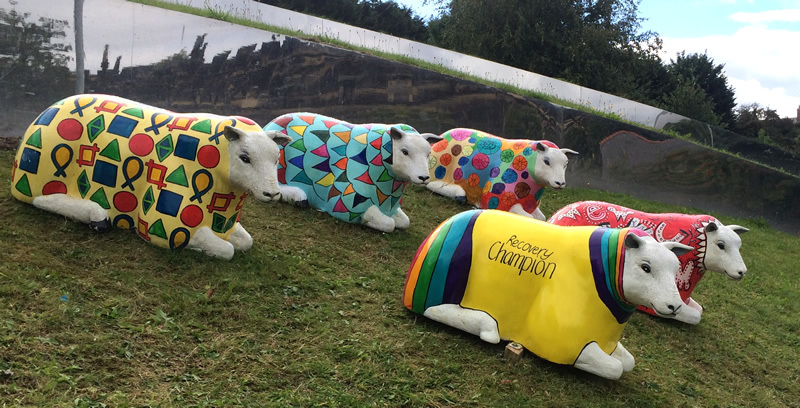 There is no detail as of yet how the sheep managed to get to the 1000 foot summit, nor if it has returned safely to the fold, or who was responsible for the theft.